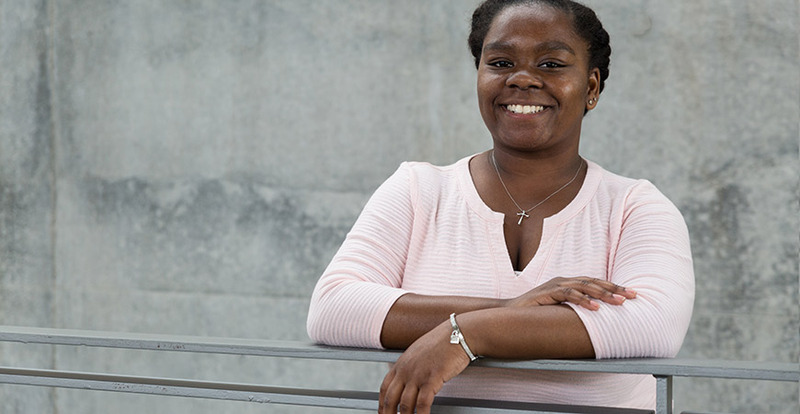 Tomanike Banks will receive a bachelor's degree in public health on May 12, then a month later her journey will take her to Sierra Leone with the Peace Corps. The odds of Tomanik’e Banks graduating from college were slim — only slightly lower than the odds she’d go to college at all. But Banks had one thing going for her that many others don’t. Determination. When Banks crosses the commencement stage May 12, she’ll be one of only about 3 percent of foster youth to graduate from college. The smart, tenacious girl from Oakland had a rough time in school, moving from place to place as she went through seven foster placements and six homes. In school, she’d be sent to the office for excessive talking. Banks helped found the Guardian Scholars Club, which is an added resource for UC Merced students and foster youth in the community. Banks had only completed up to the second grade before moving to Lancaster at the end of sixth grade, a place where she finally felt stable enough to do what so many others believed she could. She remembered struggling in school at first and hating that feeling. Her younger brother was two grades behind her and she helped him with his homework, which enabled her to “catch up” learning the lessons of two grades at once. She earned a 4.0 the following quarter. She attended high school in Lancaster and felt at ease enough to get involved. She played tennis all four years and was team captain her senior year. She joined several clubs and volunteered in her school’s cafeteria every morning. She visited many college campuses during her senior year and remembers the Bobcat Day when she and her best friend came to UC Merced. 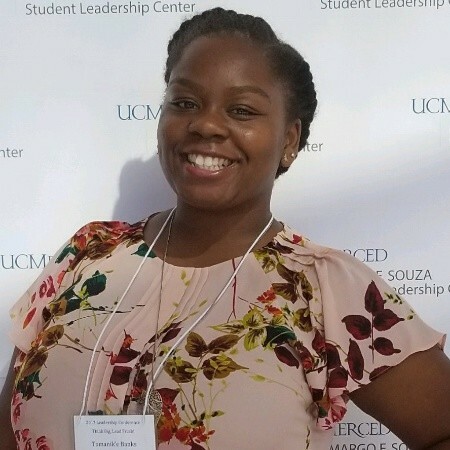 Banks became a Bobcat in Fall 2014 and was accepted into UC Merced’s Guardian Scholars program, which provides support for foster youth and helps them stay in college. She helped found the Guardian Scholars Club, which is an added resource for UC Merced students and foster youth in the community. At UC Merced, Banks developed into the encourager. Her second year on campus, her grades dropped dramatically. She struggled with balancing her own needs with others’ and contemplated quitting school. She could have easily given up, especially in summer of 2017 when her mother died. But she persevered and is now a role model to her four brothers and many others. This Saturday, Banks will celebrate her achievement of earning a bachelor’s degree in public health with a minor in psychology with her last foster family, the Wongs, as well as her three younger brothers, grandmother and aunt. Then, in June she embarks on a 27-month journey to Sierra Leone with the Peace Corps to work with the health department. When she returns, she plans to apply for grad school and eventually become a foster parent.